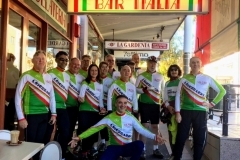 Bike Leichhardt has done many rides and tours (multi-day rides) over the years. If you would like to explore some of the routes yourself, this page will help. Tours are at the end. Many rides are on Bikely, a mapping site, listed under LBUG. You can see the route, get an elevation profile, and get a cue sheet on the route (click on SHOW on the Bikely top bar). We are putting some on Ridewithgps or Googlemaps too. To find an LBUG route on Bikely, click on Find and enter “LBUG” in the search box, or “LBUG La Perouse ” etc for a more refined search. Or try searching on user bobm31. Works best if you sign up for an account. Can be temperamental. Some people are putting rides on RidewithGPS. Note in Feb 2019: Bikely wasnt loading background Google maps. Looks like RidewithGPS will be your best bet. Here is a list of some LBUG and BL rides over the years, with a map showing them at the end (scroll down). Some of our regular rides are listed below to make it easier. Easier rides first, harder rides and tours last. You can map your own favourite rides on Bikely (or any other mapping site like Ride with GPS) and share them here (add the link to the comments section). To print a map or cue sheet off Bikely, use the Print Preview option under Files on your browser top bar. Hint: you can copy the gpx file off Bikely (under SHARE) and reload it on your favourite mapping site. Grades– E is easy, M is Moderate, MH is some hard bits, H is Hard. Rough guide only- it will depend on distance, your fitness, weather. Pace– Easy rides about 15 km/h average cruising pace and we wait at a number of points for everyone to catch up. Moderate rides is about 15-22 km/h and we wait up. MH/H pace is about 20-25 km/h or faster dep on group and terrain; we wait up but not so often, and expect more self-reliance with regard to punctures and keeping up. We may specify experienced riders only on some of the rides. Every one should carry a spare tube and patches and water plus energy bars or nibbles, sunscreen. Get the ride leaders mobile no in case of losing contact. Check the weather and carry a rain jacket or extra warm layer if indicated, particularly on longer rides. E6 Leichhardt to The Rocks and return via Redfern. E7 Cooks-River-via-Croydon to Adora Chocolates, return via Dulwich Hill. E8 Cooks-River-to Olympic Park via Rookwood and The Armory at Newington. E9 Leichhardt-to-Strathfield via Ashfield and Croydon. E10 Leichhardt-to-Rhodes-LBUG-easy-ride-3 via Fivedock and Cabarita. E11 Leichhardt to Bicentennial Park Homebush Bay direct way, via Concord, North Strathfield and Concord West. E13 Leichhardt to Brighton Via The Greenway, Cooks River, SydneyAirport and Kyeemagh. Return via a similar route or through Marrickville as in the Kurnell ride. EM1 Leichhardt-to-Parramatta out via Concord, Olympic Park and the M4 cycleway, back via the Parramatta River pathways. EM2 Ian Mellor’s Cammeraygal ride on the lower north shore. EM3 Windsor-to-Ebenezer-Historic-Church-tea and home-made scones at the old church by the river. EM4 Mike’s North Head Explorer Optional extra on the ride to Manly. M2 Leichhardt-to-La-Perouse via Randwick and Maroubra. M3 Leichhardt-to-Kurnell Classic bike ride with lots of cycleways and few hills. Good training route. M4 Leichhardt-to-Como via Botany Bay, return via Oatley. M6 Leichhardt-to-Balmoral a few hills, but great for a swim in summer. M8 Leichhardt to Manly 1 another way, with a return route. Hilly, but fairly short ride, and you can take the ferry back. M9 Leichardt-to-Prospect-Dam-and-return Mostly on cycleways. M11 Leichhardt to Windsor 55 km Along cycleways mostly. M11.1 River loop from Windsor-can be added to M11 if keen, or M3. M12 North half of M7 ride from Granville to Prospect Dam. Shows how to get to the M7 from Westmead along Old Windsor Rd. M13 M7 ride from Seven Hills to Liverpool Undulating path. M15 11 Bridges Ride/Walk a loop around the Harbour going over all the major bridges, and some minor ones. Follow footpath route rather than bush walk route. MH3 Mulga-Bill-1-Windsor-to-Kurrajong several hills but not too long. One good descent down from Kurrajong. MH5 Windsor-to-Kurrajong via Grose Vale– one long hill up to Kurrajong. MH6 Pymble-to-Manly-via-Akuna-Bay– several testing hills and descents. MH8 Wyong-to-Windsor via Wisemans Ferry (WWW ride) – 2 day ride. Bumble Hill is a 3 km climb at about 10%. MH9 Penrith to Springwood via Lapstone – Springwood to Katoomba is the reverse of the Katoomba-Penrith route. MH10 Katoomba-to-penrith-via-lennox-bridge – the downhill route. Differs a little to the uphill route. ACE250 Alpine Classic 250. Up the Victorian Alps. Ride Across America. Supported tour from west to east across USA, 5800km!! Yep, some BLers have done it. Some 2 day or longer bicycle tours we have done. 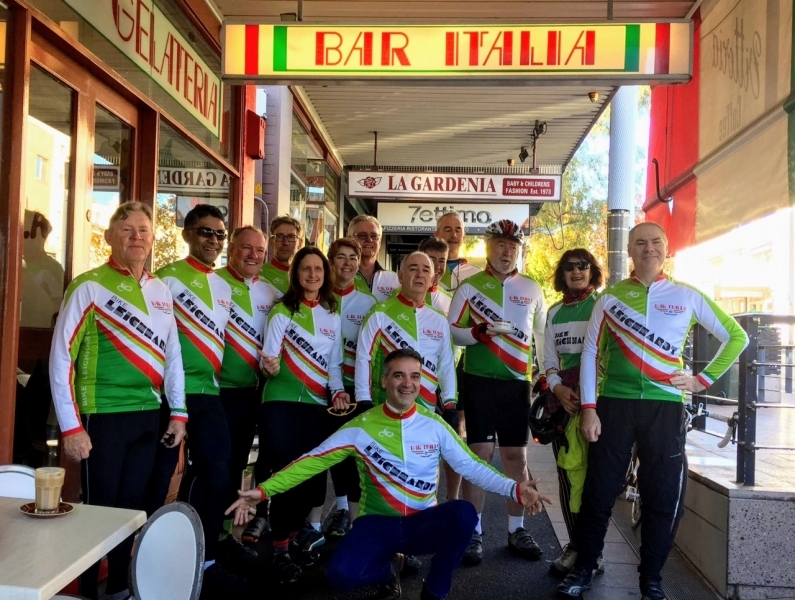 C5 Wyong-to-Windsor via Wisemans Ferry – Annual WWW ride. C14 Muswellbrook to Lithgow via Bylong, Rylstone and Sofala. C15 Flinders Ranges Peterborough to Rawnsley Park and return via Port Augusta and Melrose. C16 East Coast Tasmania 2014 Launceston to Hobart vis St Helends and Bicheno. C17 New Zealand 2005, 2015, 2017. In 2005 we rode from Lake Tekapo to Queenstown, over the Crown Range to Wanaka, Haast Pass to the West Coast and north to Franz Joseph Glacier (Mt Cook) and Greymouth. In 2015 we went to the North Island from Rotarua to Wellington. In 2017 we went to the Marlborough region, Picton to Nelson via St Arnaud. C18 NE Victoria Rail Trail. Google Map of bicycle parking spots around Leichhardt LGA and City of Sydney. Shellharbour area, south of Wollongong.